yes cologne and perfume are always hard. You know they normally have every kind you can imagine at Loehmann's so you can get them cheaper too! You can't test them there though so you have to know ahead of time what you want. Thanks for following and entering my contest! I love that one ~ this is always a tricky gift. @ HeatherClark: thanks for the tip! @Megan Cassidy: Awesome! I feel better about my purchase now! He's going to love it ... the scent is really nice! thank you, i've added you as well! 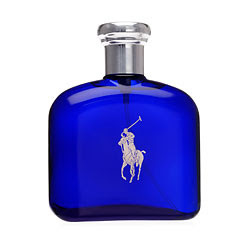 I have never actually smelled a Ralph Lauren fragrance before, I shall so need to remedy that! i love buying my man cologne, its a great gift. so you have to know ahead of time what you want.